Metal Gear Solid V, Dishonored 2, and more on special! Takealot has listed two models of the new Alienware 15 gaming laptop on its online store. Takealot customers have taken to the company’s Facebook page to complain that they did not receive their Christmas orders before 25 December. Here’s how to get an Xbox One S in South Africa early. 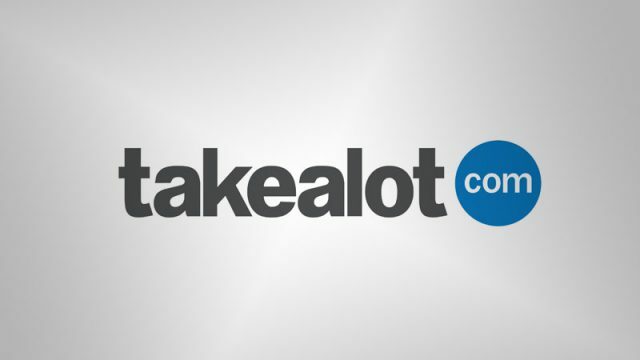 Takealot is in hot water with customers for not meeting delivery dates. Check out the awesome discounted games and peripherals in Takealot’s Gaming Flash Sale. Takealot has launched its “Make gaming great again!” sale, offering tremendous savings. You can buy 12 months of PlayStation Plus for R499 today only. These are the sites you need to visit when shopping online. Are you really getting a good deal with Takealot? Takealot has launched its Big 5 Birthday Bonanza sale, offering 5 crazy birthday deals, every day for 5 days. Takealot has relaunched its Unboxed deals, which could mean greater savings for gamers. Takealot has just launched Unboxed Deals where you get awesome discounts on products that are “returned and shop soiled”. February is turning out to be quite the month for gamers, with some pretty big releases hitting store shelves and online retailers. February is here, and thank the flying spaghetti monster in the sky because January’s payday couldn’t come quick enough! Here’s the best deals for South African gamers this weekend from the biggest online and physical retailers. Those in the market for a new television, tablet, and other gadgets can save a lot of cash this weekend. Here’s the best deals for South African gamers this weekend, from the biggest online and physical retailers.